Teenage weed usage rates decreased nationally in 2016 and are now at their lowest levels in the past 15 years, according to the National Survey on Drug Use. 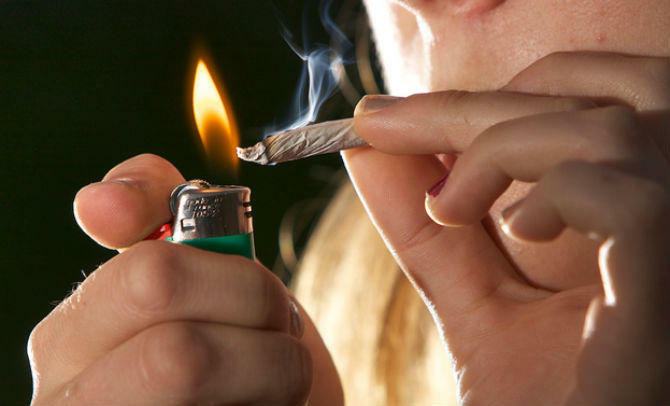 The annual National Survey on Drug Use and Health, released on Thursday, reports that teenage cannabis use rates decreased nationally in 2016 and are now at their lowest levels in the past 15 years. The survey, released by the federal Substance Abuse and Mental Health Services Administration (SAMHSA), found past-month use rates among adults slightly increased, but alcohol rates among all age groups decreased. This indicates the happy possibility that adults are substituting cannabis for alcohol. Past-month use rates for the 12-17 age group decreased by from 7 percent to 6.5 percent nationally in 2016. This is the lowest level of cannabis use in this group since 2002. The data also show a steady decrease since 2014, when the first states to legalize marijuana for adults began allowing regulated retail sales. Critics of legalization worry about the message being sent to youth by marijuana policy reform efforts, but the real message is that marijuana should only be used by responsible adults, and it seems to be sinking in. Regulating marijuana for adults reinforces that message and creates effective mechanisms for making it more difficult for teens to obtain marijuana. Marijuana is objectively less harmful than alcohol, and regulation gives adults the legal option to choose the safer substance. Legalizing marijuana doesn’t bring about the imaginary apocalyptic vision our opponents keep using to scare voters and parents. The data continue to show that responsibly regulating marijuana and being honest with young people about the risks improves community health and safety in the long run. Currently, eight states regulate cannabis similarly to alcohol for adults. Four of those voted to do so in 2016. Marijuana possession is also legal for adults in the District of Columbia. A study released last week by the Washington State Institute for Public Policy also found that teen marijuana use has not increased in that state, either. Colorado and Washington were the first two states to make cannabis legal and regulated for adults. We found no evidence that I-502 enactment, on the whole, affected cannabis abuse treatment admissions… [and] we found no evidence that the amount of legal cannabis sales affected youth substance use or attitudes about cannabis or drug-related criminal convictions. Another study from Oregon, post legalization, similarly reports that the enactment of adult use marijuana regulations has not adversely impacted youth use patterns in those states.